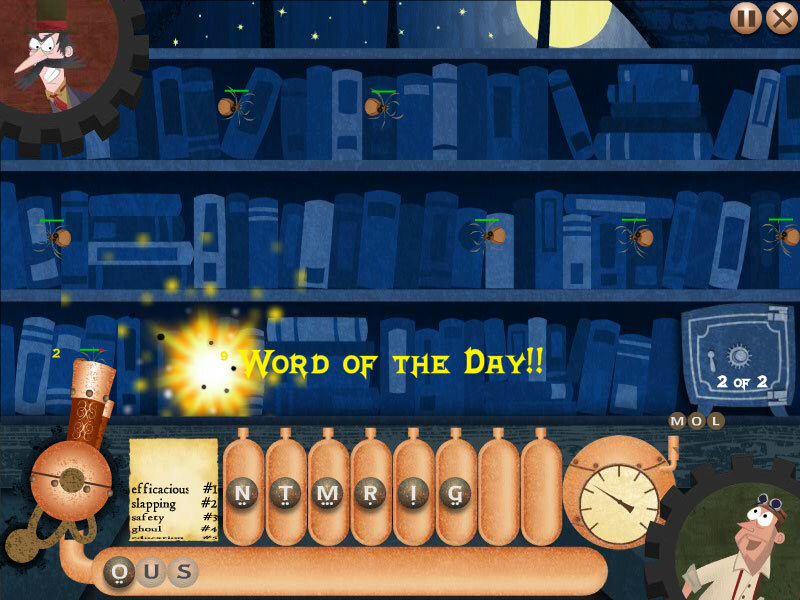 Clockwords is a hectic word game set in Victorian London. You are a genius inventor who discovers plans for a mysterious machine that runs on the power of language. Then your lab is infiltrated by mechanical insects that have come to steal your secrets! You must think and type quickly to fend off the invaders. 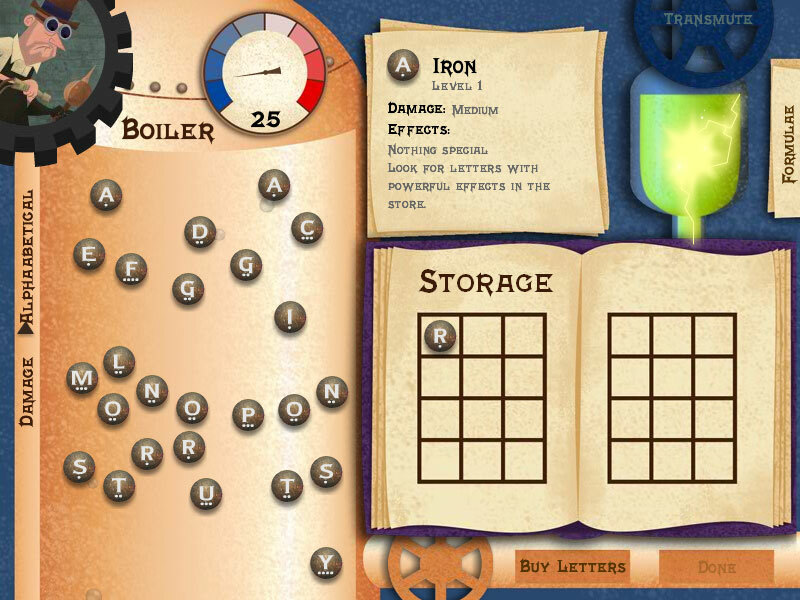 To destroy the bugs, you need to collect powerful letters. Some letters can be combined to increase their power.